Summary: In the City of Atchison, sidewalk improvements are the responsibility of the adjacent property owner. 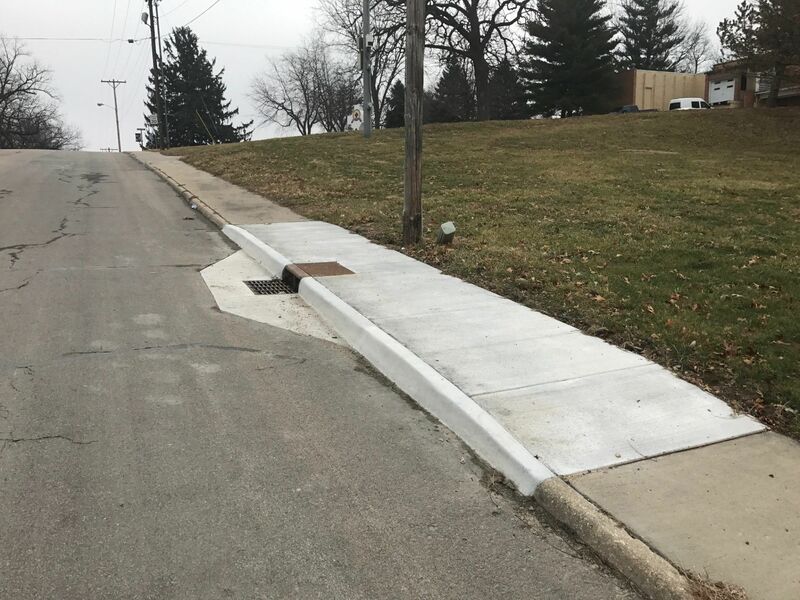 While the City will sometimes undertake projects without the financial participation of adjacent property owners, property owners can control the timing of an improvement they desire by utilizing the City’s annual Curb/Sidewalk Cost Share Program. In previous years, the City awarded the cost share work to a single contractor and managed each project from start to finish. This year, we’ve decentralized the process to allow property owners to select their own contractor. The full details, including the process for contractor selection, how to get reimbursed for your costs (up to 50%), and the City’s standard specifications for various types of curb and sidewalk can be found at this link. Funding: $25,000 from the City of Atchison Capital Improvement Fund and $25,000 from private property owners.